Home » Entertainment » Hollywood » Electric Cars are ‘gay’ ?!? Electric Cars are ‘gay’ ?!? 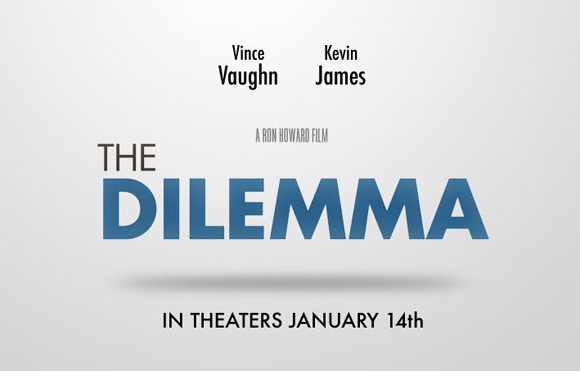 So thinks the character of Vince Vaughn in the upcoming moving ‘The Dilemma’. The trailer was just released a few hours back is already having its fair share of controversy. This statement is enough to fire up a controversy. Thats what it is doing. To me there seems to be nothing wrong with it. Its supposed to be a comedy movie and so they have to say stupid things to make a joke and thats exactly what Vince Vaughn did. But there is more, it does seems to promote Dodge’s muscle cars, a notion reinforced by seeing the Vaughn character driving a vintage purple Dodge Challenger in the trailer. Now that is something thats picking a lot of heat! Ron Howard Thinks Electric cars are gay?